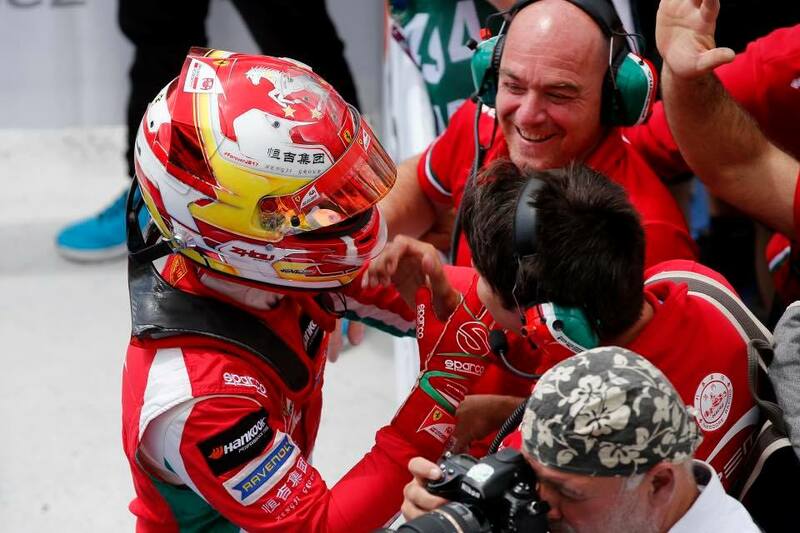 Guan Yu Zhou is a Chinese FIA Formula 3 Racing Driver, racing for Prema Powerteam and is a Ferrari Driver Academy member since 2014. 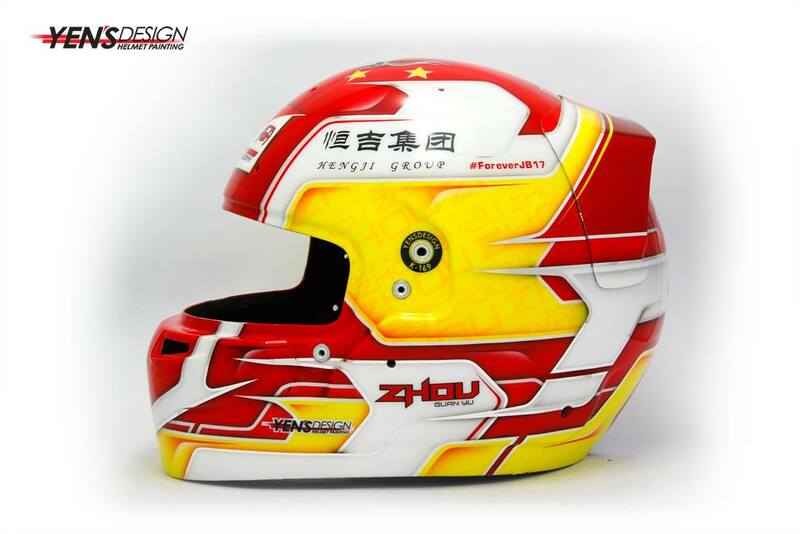 MDM Designs have been designing Zhou's helmet since the 2014 season. 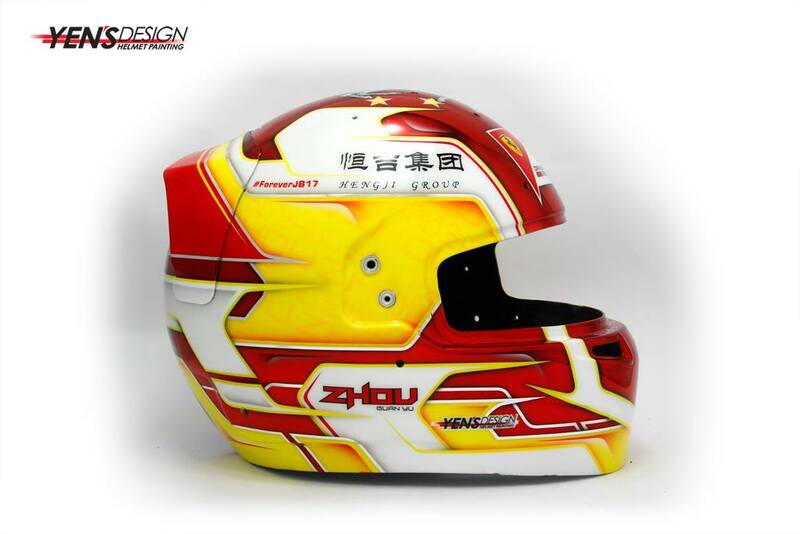 Zhou has been a regularly returning helmet design customer of MDM Designs, he contacted us in the build up to the 2017 Season shortly after confirming his plans for the season. The previous helmet for Zhou featured a mixture of blue chrome, white, silver chrome, red and yellow - with two helmets that differed slightly in certain colour fills. This years request was again for two helmets, with slight differences - however the colour scheme was up for debate. When the initial concepts were done, the direction to go in was then clear - by teaming up the colours of Ferrari and the national colours of his native China, the choice for a mainly red and yellow helmet was a clear winner! The design stood out really well mixed in with white sections in the upper and lower parts of the helmets, teamed with red chrome sections around the bottom of the helmet and top of the rear spoiler to create a nice contrast in the reds. Various airbrush details were added into the red to provide some depth and detail up close, without dominating the colour and losing the impact of the red. The Ferrari Driver Academy logo was placed in the mandatory position above the visor and in the centre of the rear spoiler. 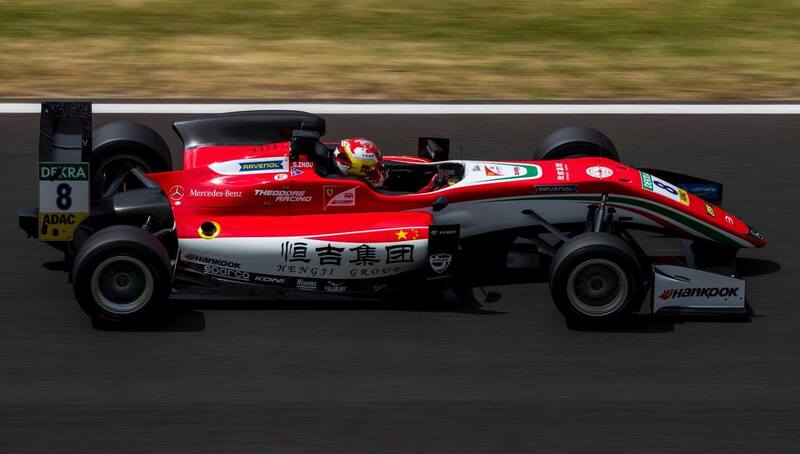 Zhou's personal sponsors were included into the white section at the top of his helmet, fitting in nicely with the abstract shape. The famous Shanghai skyline was a personal request to be added into the rear of the helmet within the white band that runs across the middle of the helmet, just underneath his name in Chinese. Lastly, Zhou decided on having the iconic 'Prancing Horse' on the top of his helmet, as the centre piece in the middle of the red top. The emblem was then surrounded by stars from the Chinese flag to further combine the Ferrari and China link. When the final design was confirmed, the second version was created by essentially swapping the red fluorescent base colour with the red chrome, as well as swapping silver chrome outlines on the white areas to a fluorescent yellow. This meant two helmets of the same design, but with different colour-schemes, for different occasions. Yens Helmet Design and Paint were sent the confirmed designs and the vectors required to complete the paintwork. The final result is visible below on the bare Bell HP7 Carbon shells, as well as the fully assembled helmet in the pictures within this Project post. 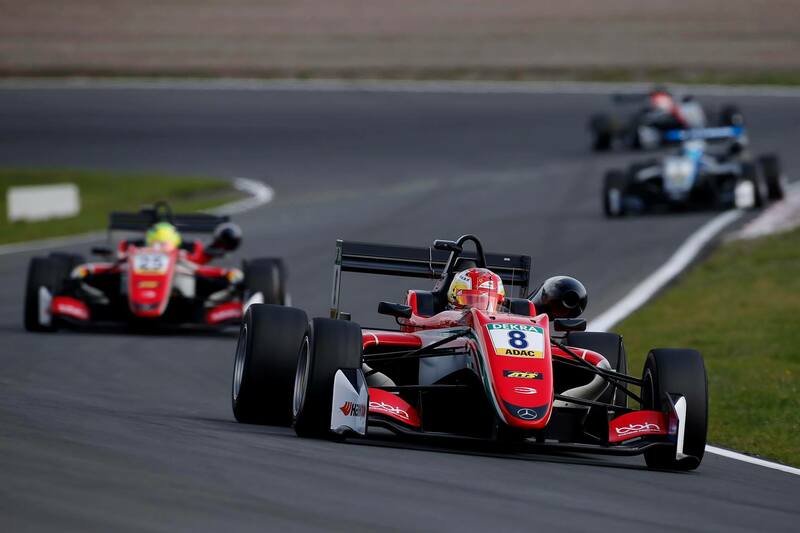 Zhou's design are always some of the most challenging helmets to design, however the final results were defiantly worth the hours - as he has already taken multiple podiums in the FIA Formula 3 European Championship this season.